New Holland are tractor specialists, with models developed for agriculture and municipal use and everything in between. New Holland Boomers are ideal from the golf courses and parks through to vineyards and orchards, New Holland has a boomer tractor to meet the most demanding of end user needs. 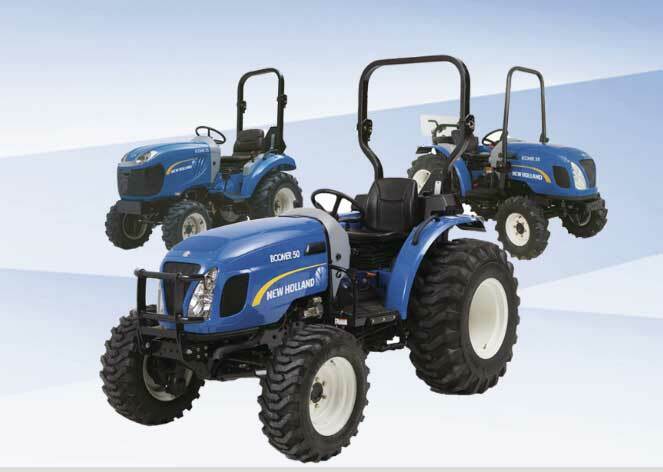 New Holland Boomer tractors are compact, manoeuvrable and versatile tractors that are divided into three classes. Only New Holland can offer you so much compact tractor choice. Three-cylinder 23hp and 27hp engines, dual-range hydrostatic transmission. Four-cylinder 28hp and 38hp engines, threerange hydrostatic or 12×12 synchromesh transmission. Four-cylinder 41hp and 47hp engines, threerange hydrostatic or 16×16 synchromesh transmission with creeper option. The word “easy” defines Boomer tractors. Controls come easily to hand, the seat and steering wheel adjust to match very operator, and the large, uncluttered operating platform gives you plenty of legroom to stretch out. 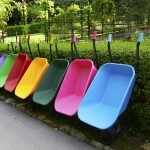 Controls are color-coded and clearly marked so you are confident of your every move. The Boomer 30 and 35 models feature a 12×12 synchronized shuttle shift (SSS) transmission as standard, while the Boomer 40 and 50 models are standard specified with a 16×16 SSS transmission, with creeper option. There’s no need to come to a complete stop before shuttling from forward to reverse, and the convenient shuttle lever located to the left of the steering wheel makes it smooth and easy. The Boomer 25 model is equipped with a 2-range hydrostatic transmission, while a 3-range hydrostatic transmission is available on the Boomer 30 to Boomer 50 models. All of the hydrostatic models have 2 pedals, for forward and reverse travel and make shuttling and choosing the right speed very easy. Get the most out of your Boomer by ordering the deluxe hydraulic pack, available on Boomer 30 – 50 models. This includes factory fitted mid-mount hydraulics with joystick control, and a mid-mounted PTO.